Gmail has a feature where it can group all of the emails from a message thread into one convenient entity. This is called “Conversation View” and it’s meant to make it easier for you to follow along with all of the information that is going on in a particular email thread. While some people prefer to consume their email in this format, others prefer the older, more traditional method of sorting their individual emails as their own messages, and separate everything chronologically. 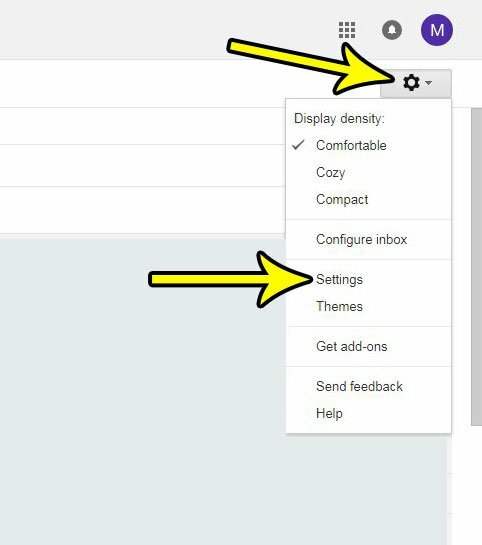 Whichever option you prefer, it is possible for you to make that the format in which you view your Gmail inbox in your Web browser. 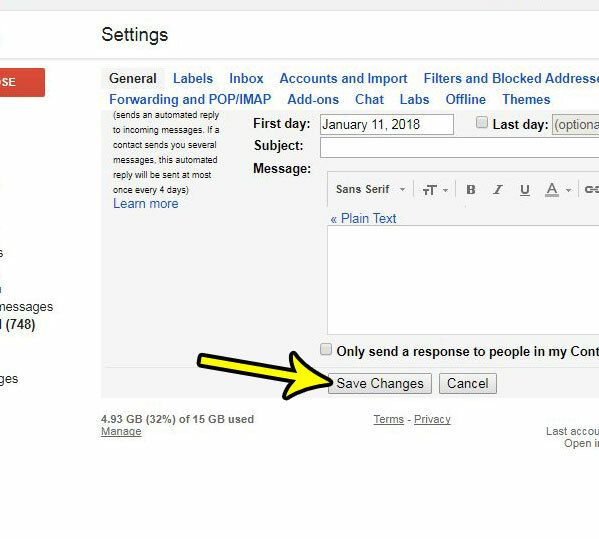 Our guide below will show you how to turn off conversation view in Gmail if you would rather read your emails sorted by the time at which they all arrived. The steps in this article were performed in Google Chrome, but the steps are the same in other desktop and laptop Web browsers like Firefox or Microsoft Edge. This is going to change the way that your inbox is sorted and displayed, so it may take some getting used to if you are very accustomed to the conversation view. Step 3: Scroll down to the Conversation View section of the menu and click the circle to the left of Conversation view off. Do you find the chat feature of Gmail to be annoying, or do you simply not use it? 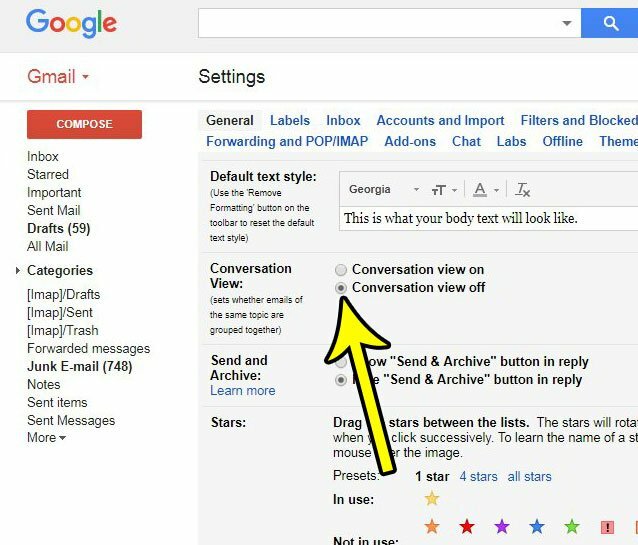 Learn how to disable chat in Gmail and remove it from the inbox. What Version of Adobe Photoshop Do I Have?